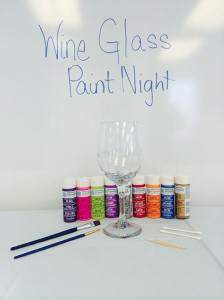 Come join us at our studio to Paint A Wine Glass! We have everything you will need to create the perfect wine glass for your collection. Bring a group of your friends or family and enjoy a night of painting and lots of laughs. We encourage beginners to join us! No experience is required – we will be here to help you create something special.